The Trail World Championship is regulated by the International Association of Ultrarunners (IAU) under the patronage of the International Association of Athletics Federations (IAAF) and with their technical partner the International Trail Running Association (ITRA). The 2019 Trail World Championships will be held in Miranda do Corvo, Portugal on June 8 and will be a 44K with 2500 meters of vertical gain. 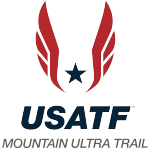 August 12, 2018 – USATF 50K Trail Championships / Ragged 50K – Sunapee, NH. Race winners Kasie Enman & David Sinclair earn automatic selection. 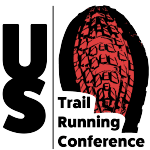 February 16, 2019 – USATF 50K Trail Championships / Fourmidable 50K – Auburn, CA. (Due to TNF 50 cancellation, the top 2 women/men earn automatic team selection. 2nd woman/man must be within 10% of the winner) Tim Tollefson, Sam Sahli, Dani Moreno and Rachel Drake have earned automatic selection. C Standard (Resumes): Team selection based on running resumes. Positions on the team unfilled by auto qualification listed above in the B standard, will be filled based on an evaluation of running resumes submitted by athletes. 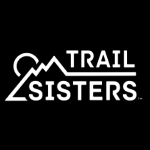 Preferential consideration given to results in the 2018 Trail World Championship, team selection races & USATF Championships. If it becomes difficult to evaluate athlete resumes based on head to head racing the selection committee may also consult athlete rankings from Ultrarunning Magazine, UltraSignUp or ITRA. The 2018 event was held in Penyagolosa, Spain on May 12. The 2016 event was held on October 29, 2016 in Geres, Portugal at the Peneda-Geres National Park and covered 85km over a profile of 4500 meters. The first Trail World Championships were held in Annecy, France, at the Maxi-Race on May 30, 2015. The US men won a team silver medal and the US women were seventh in team competition.